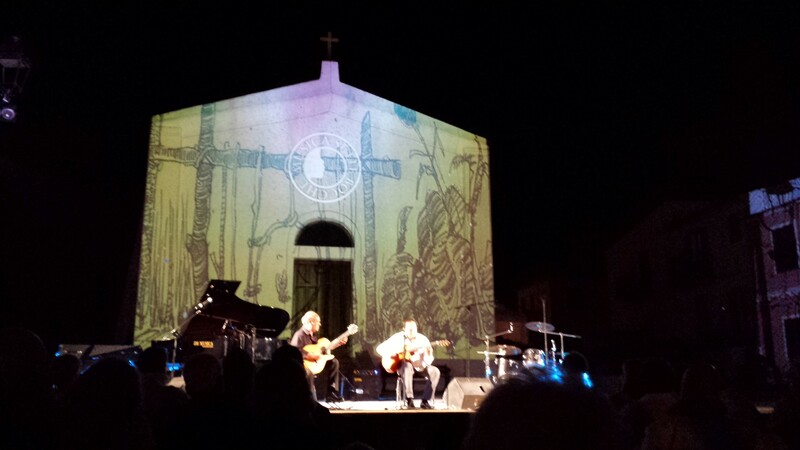 In 2014 the artistic director of the MUSICA SULLE BOCCHE Jazz Festival, Enzo Favata, invited me to make the festival visuals for that year. It was a great experience as I had total creative freedom and it was also cool as I am an avid jazz music lover. 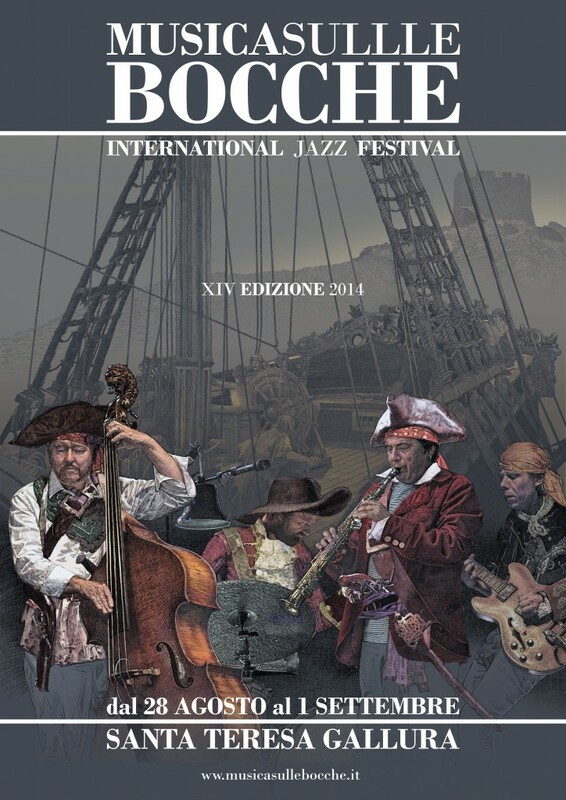 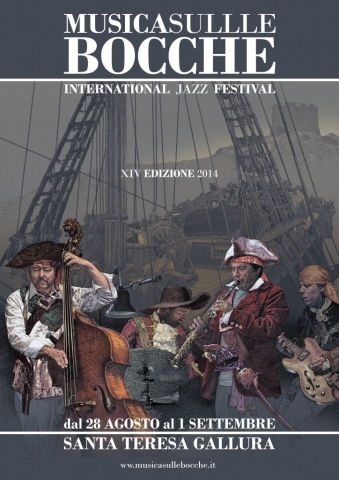 I took inspiration from the legends of Sardinia and ended up making a band of pirates jazz musicians. 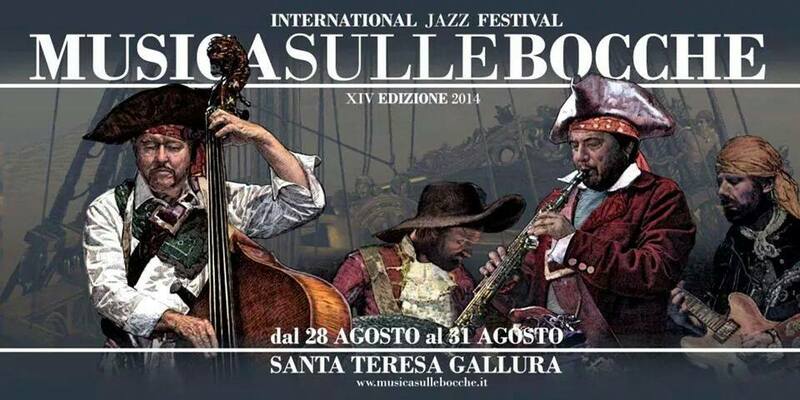 I also got to visit the festival that takes place in Santa Teresa Gallura, Sardinia, Italy. 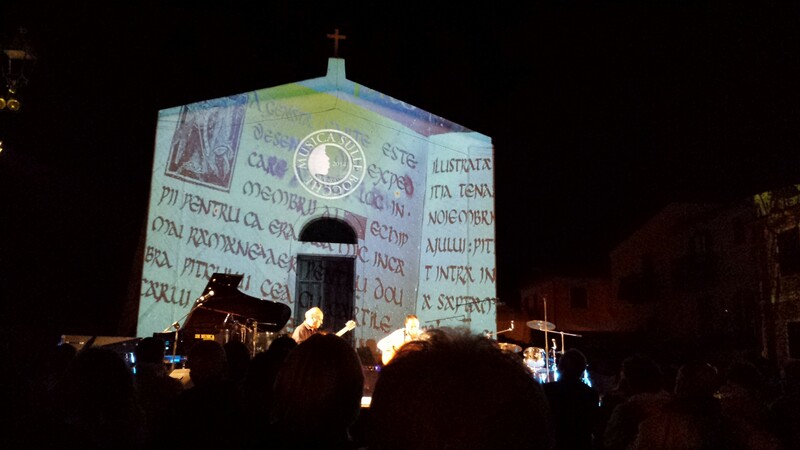 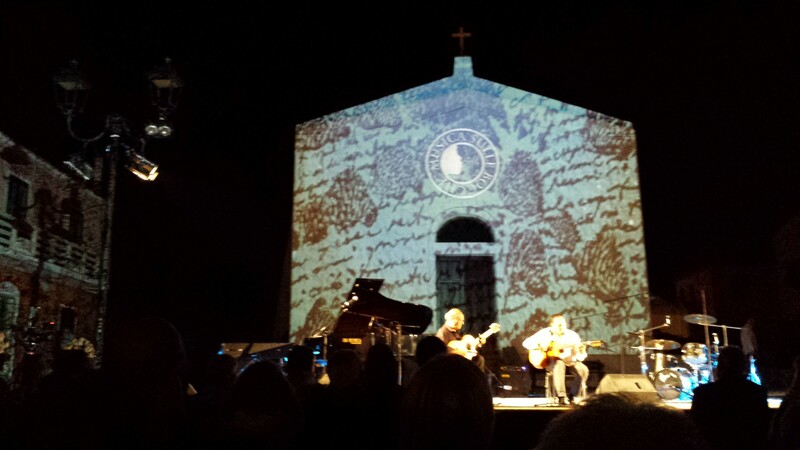 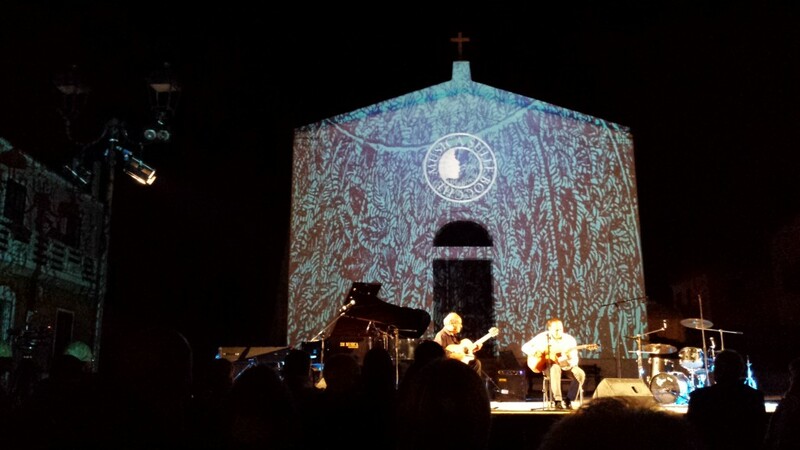 And during the the festival in Piazza Santa Lucia, one of the venues of the festival, my video-mix, of my artwork, lit the Piazza, accompanying the musicians. 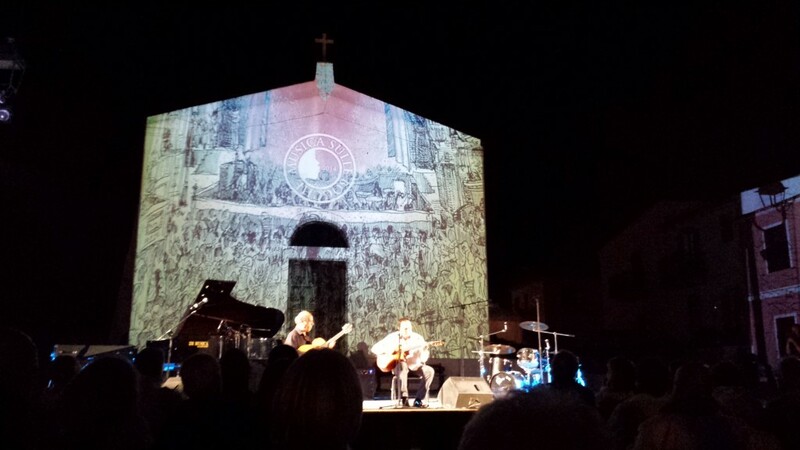 One of the moments was “The Dark Side of Jazz” project, you can watch a VIDEO HERE and HERE during Battista Giordano & Stochelo Rosenberg “GENTES”. 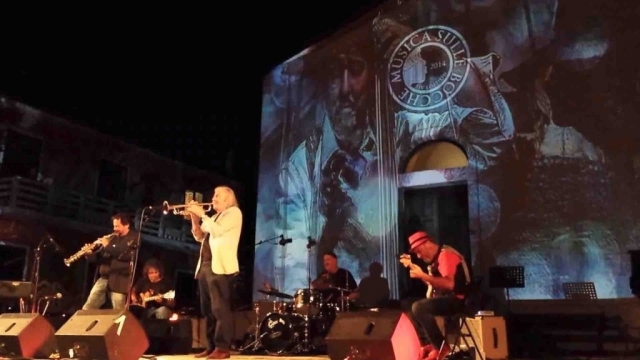 “The Dark Side of Jazz” is a collaboration of the wonderful quartet Enzo Favata, sax, Marcello Peghin, guitar, Danilo Gallo, bass, and U. T. Gandhi, battery, with the acclaimed Italian jazz trumpeter Enrico Rava. It has been an amazing experience and a great place to visit not only for the nature, but also for the jazz.